LegalZoom DBA REVIEW Is It Actually A Reliable Service? LegalZoom DBA Review: Is It Actually A Reliable Service? Do you need a Doing Business As (DBA) for your company? There are several reasons why you might want a DBA, like opening a business bank account or making your sole proprietorship more credible. Unfortunately, this process can get confusing before you even start due to the fact that so many companies provide DBA service and it’s hard to tell who’s the best. I’ve been there myself! To supplement your own research, my team and I invested countless hours researching the details of every major online DBA provider. In this LegalZoom DBA review, I’ll walk through some pros and cons, pricing, features, customer feedback and more. Read on to find out if they’re the best fit for your business! They’ve served nearly 4 million customers since 1999, which is impressive both for their longevity and volume of clients. They’re one of the most popular DBA filing services available. With their satisfaction guarantee, you have the safety net of a 60-day money back guarantee. If you aren’t satisfied for any reason, they promise to either resolve the issue or refund fees paid to LegalZoom. Instead of simply offering one DBA package like most competitors, LegalZoom offers a Premium package that comes bundled with 3 months of QuickBooks Online and a 30-day trial of LegalZoom’s business advisory plan which includes attorney consults and document reviews. They take security seriously, protecting their site with Norton Web Security which scans for malware and encrypts data transmissions. At $99, it’s hard to beat the price point for their Standard DBA filing package. Their customer feedback isn’t great, which is no big surprise for such a big company. With a volume of customers this high, it would be impossible to please them all. LegalZoom scores a 4.4/5 in my book. Their experience is impressive and their satisfaction guarantee is a great safety net. If you’re ready to get started with LegalZoom, or you need more time to look over our top 7 DBA services, simply use the buttons below. 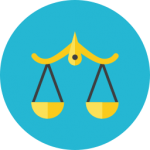 With LegalZoom, you have two options for your DBA filing. The $99 Standard package lives up to its name as it provides an industry standard level of service, while the $119 Premium package tacks on a couple of additional features. What It Includes: This package includes the essentials of filing a DBA, including a name search, the preparation and filing of your documents, and in states that require publication, this also includes the publication of your DBA in a newspaper and a proof of publication filing. Who It’s Right For: Any entrepreneur looking to get a DBA should be interested in this package. It includes everything you need and nothing you don’t. What It Includes: Everything from the Standard package, plus a 3-month trial of QuickBooks Online accounting software and a 30-day trial of the Business Advisory Plan which provides attorney consultations, document reviews, annual business evaluations and more. 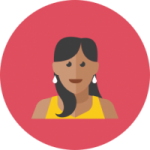 Who It’s Right For: If you were already planning on checking out QuickBooks or the Business Advisory Plan, this is an easy choice. Just remember that if you decide not to subscribe to either service, you’ll need to cancel before your trials are up. These packages are both fairly priced and strong values. The difference simply comes down to whether you think you’ll get any value out of the trials in the Premium package. Customer feedback isn’t LegalZoom’s strongest suit, with reviews that are quite mixed. The more critical reviews discuss challenges that face most companies this large, like spotty customer service, billing confusion, etc. Their satisfied customers commend LegalZoom for their efficiency and complement the support they received. Conclusion: Customer feedback for LegalZoom is pretty evenly split between happy and displeased. It’s difficult for any company to please every one of their customers, especially one so big and wide-reaching as LegalZoom. So take these LegalZoom customer reviews with a grain of salt and check out the websites above for more info. With all the time I’ve spent researching online DBA providers, I’ve learned that some of them are simply better deals than others. Still, the goal here is to discern which one has the right combination of pricing and features for your business. LegalZoom is a good provider of DBA services due to their brand popularity and their satisfaction guarantee. It’s still a good idea to see what the competition’s up to, so let’s see how LegalZoom stacks up to Swyft Filings. 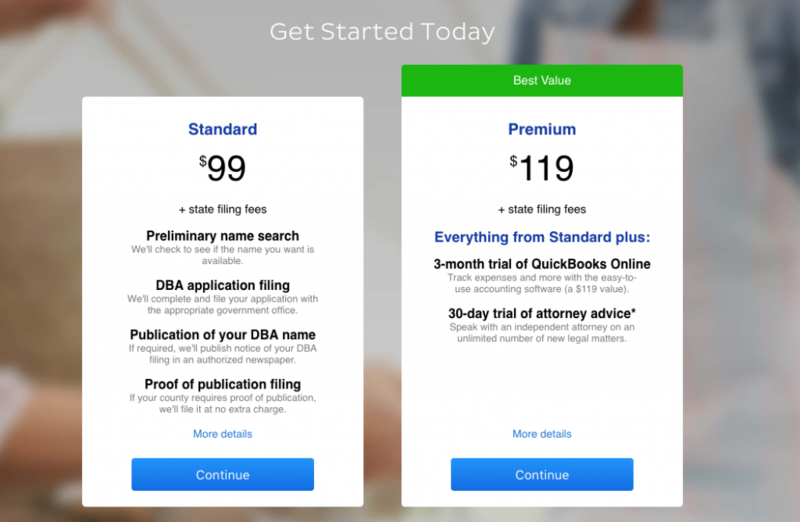 Pricing: LegalZoom and Swyft Filings have the exact same base rate of $99 for DBA service, although LegalZoom also has their $119 Premium package. Features: Swyft Filings offers the same features as LegalZoom’s Standard package. LegalZoom’s Premium package offers a 30-day free trial to their Business Advisory Plan and a 3-month trial of QuickBooks Online. Customer Support: Swyft Filings is known for having an easily accessible service department, and they’re available via phone, email or live chat from 9am to 7pm ET every weekday. LegalZoom has a slightly less consistent reputation for customer service, but their extended support hours are a godsend for many businesses. They’re available Monday through Friday from 8am to 10pm ET, and they even take calls from 10am to 7pm ET on Saturdays. Experience: LegalZoom has served nearly 4 million customers since 1999, which is impressive longevity and volume. Swyft Filings has only been around since 2012, but they’re still experienced enough to be a trustworthy service provider. You sure can, but whether you want to or not is another question. It can be a hassle to file your own DBA paperwork, and the blame for any mistakes falls squarely on your shoulders. Filing services like LegalZoom give you a little peace of mind and let you focus on running your business. If you do want to try the DIY approach, check out our extensive how-to guide. They have a satisfaction guarantee that offers you a refund of all fees paid to LegalZoom, no questions asked. Just make sure you request it within 60 days of your purchase. With Norton Web Security protecting their site from malware, and strong SSL certificates encrypting data, their browsing experience is as safe as any other provider. They certainly do. Simply give them a call at any time, or send them an email or web chat message, and they’ll do their best to help whether you purchased your DBA this week or months ago.